Sadly, we could not stay in Zipolite forever. 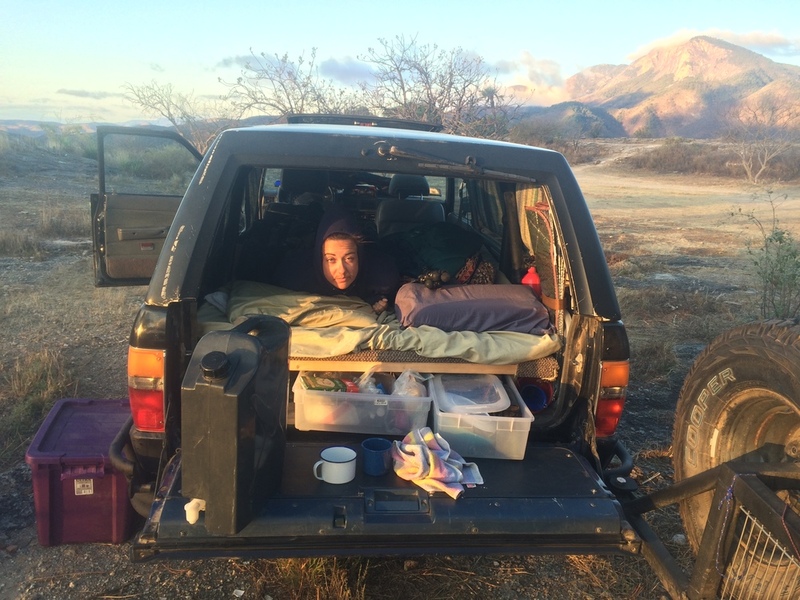 We had to pack up our sandy belongings and climb back into Lorraine for our trek back north through Oaxaca city, and eventually home. They say that the roads in Oaxaca are terrible and the drive from the coast to Oaxaca City through Pochutla is no exception. Twisty, curvy, windy roads that barely pass for roads, and mountain cliffs that have crumbled away at points can make for a rough commute. Sometimes the road is there and sometimes it is not. There were times when projectile vomiting from the window was almost a thing. Ian, who was driving, loved it. Me, not so much. But even though we lost 4th gear somewhere along the route, everyone held their chunks, for better or worse. But the reward at the end of the difficult day is arriving is Oaxaca City, another place we've spent much time in and have fallen in love with over the years. We pulled in to Ian's Aunt's/Cousin's/Counsin's-once-removed house before sunset, and enjoyed a lovely dinner, chat, and sleeping indoors. We spent several days reacquainting ourselves with Oaxaca City, visiting old friends, visiting yonkes (junkyards) and wandering aimlessly through markets. We also did a bit of truck repair at the Overlander Oasis, an awesome spot made specifically for overlanders. Calvin and Leanne were great and the clutch work we did helped us make it to the border. After a couple days in the city, we set out for Hierva el Agua - a natural water phenomenon just an hour's drive (or so) from Oaxaca City. The "or so" will really depend on whether you have to take the long road or the short-cut. The short-cut is often blocked off by the towns that are along the longer route. They charge you a 10-peso toll per person to drive through, so every time that shortcut road gets cleared away it mysteriously gets all blocked up again. . . The long road had its charms, as well. We passed by many roadside mezcalerias. We even stopped and got an impromptu tour of one and picked up some blueberry mescal. RECOMMENDED: Yaguar Xoo...at noon...on a weekday. On the way to the we found ourselves passing by the Yaguar Xoo (Jaguar Zoo) with some time to kill, so we took a slight detour. 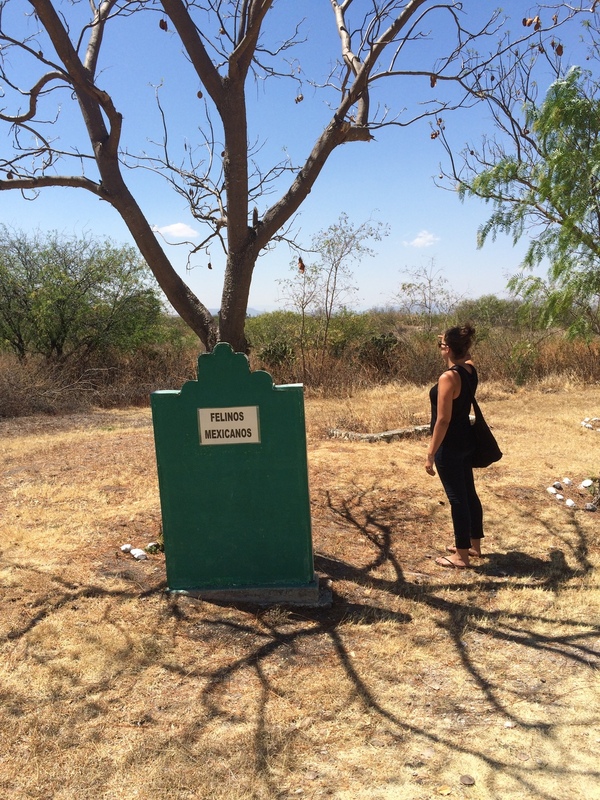 Located about between Oaxaca City and Hierva el Agua, the Jaguar Zoo sits in the middle nowhere, in a desert, directly across from a large human prison (the prison/zoo parallels were not lost on us). It was a dry, windy, dusty, and hot hot hot day and we were the only ones there. Literally. We saw more animals at this zoo than humans. There wasn't anyone sitting in the ticket booth. There wasn't anyone pouring animal themed beverages at the palapa restaurant. There wasn't even anyone in the gift shop. It was a ghost zoo! We were actually a little concerned that the ghost zoo had been abandoned, until we saw two workers on a zebra-striped truck driving in the distance. The zoo mostly offers big cats, and we saw many of them. As well as some camels, some monkeys and a big snake. Some of the enclosures were suspect, at best and we could reach out and touch a lot of these animals, if we had wanted to. More importantly, they probably could have reached out and touched us with their paws or talons, or fangs, etc., but fortunately it was a round noon and it was too hot for most of them to do anything except lay in the shade and pant. Overall opinion of the ghost-zoo? MUST-GO. Hierva el Agua was much more populated. Everywhere you turned there was a human in your face asking for a toll or a fee or money of some sort. It got to be a little much. On the bright side, thanks to a tip from fellow travelers, Westy Goes South, we camped there for the night and in the morning had the place to ourselves, which was pretty great.